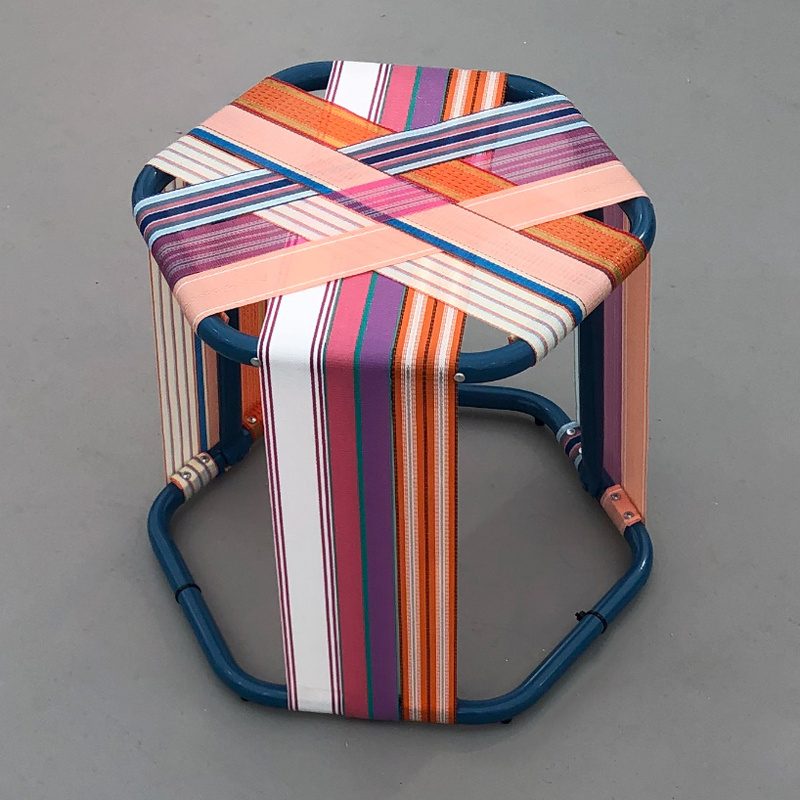 at the 2018 edition of miami art week, design studio AMLgMATD has shown a collection of its stools within the UNTITLED, ART fair. 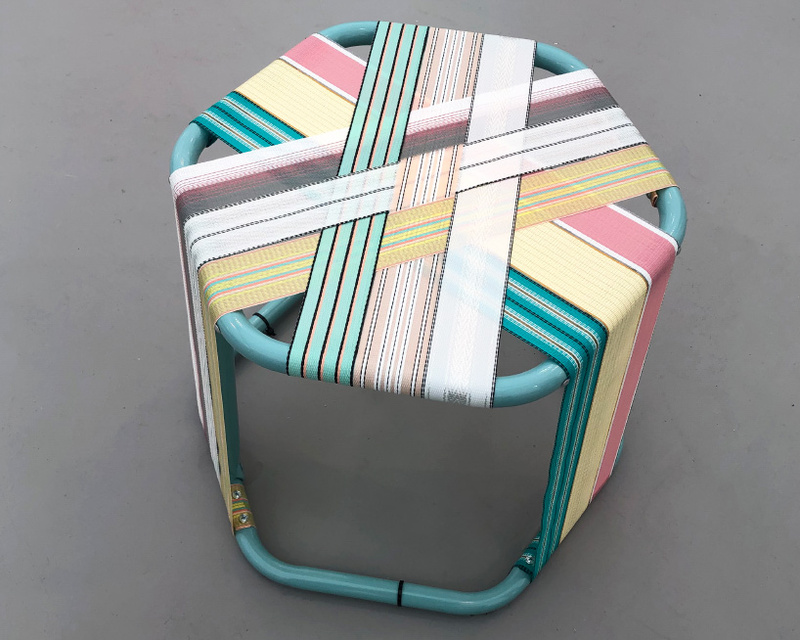 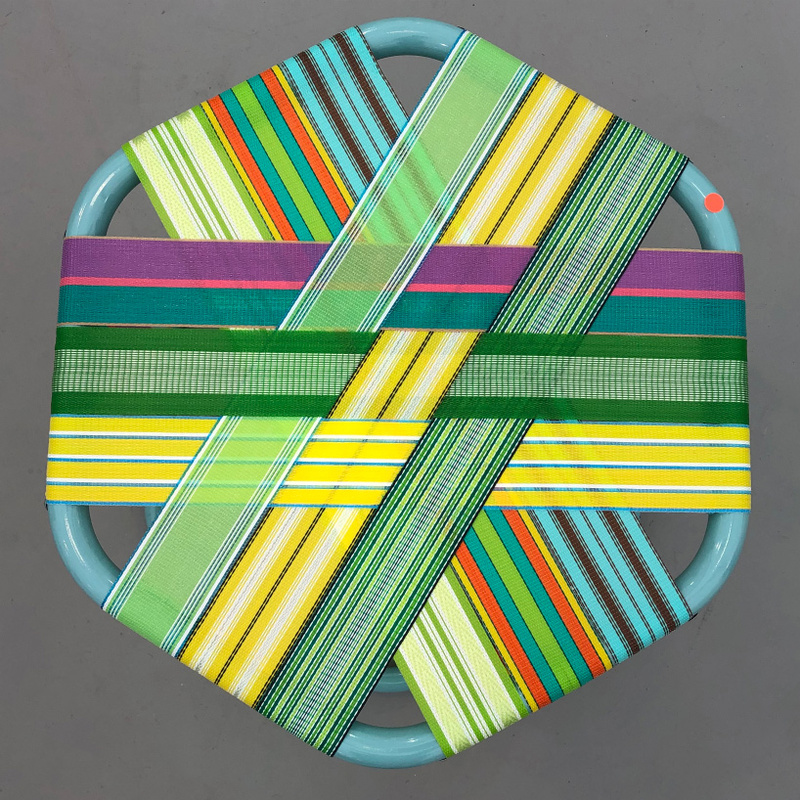 originally designed in 2016, the colorful ‘WEBSTR’ stools have been made using a combination of vintage and newly available polypropylene webbing on an aluminum frame — in the words of the designers: ‘a concept of familiar materials applied on a new form’. 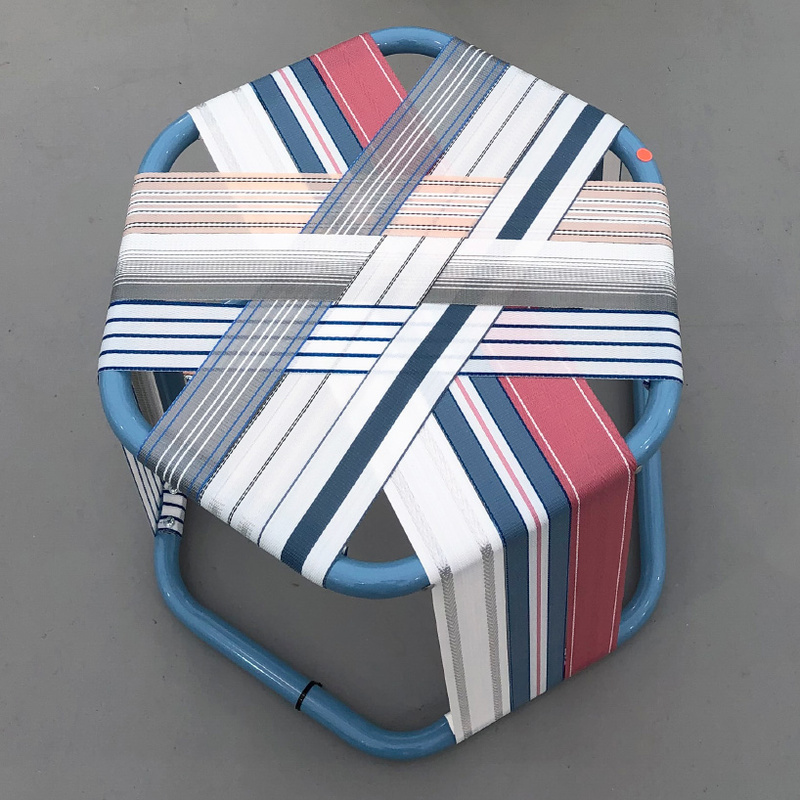 exhibited as part of UNTITLED, ART, the installation is titled ‘WEBSTR islands’. 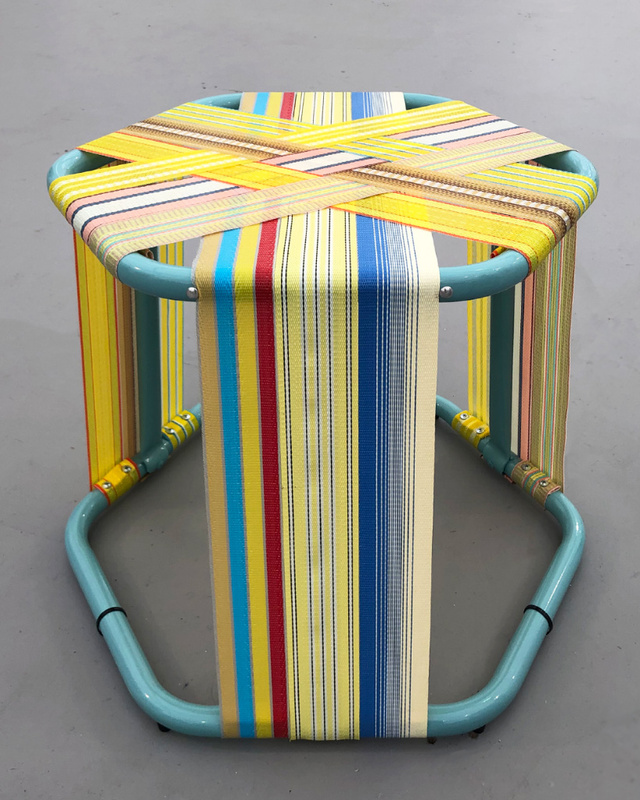 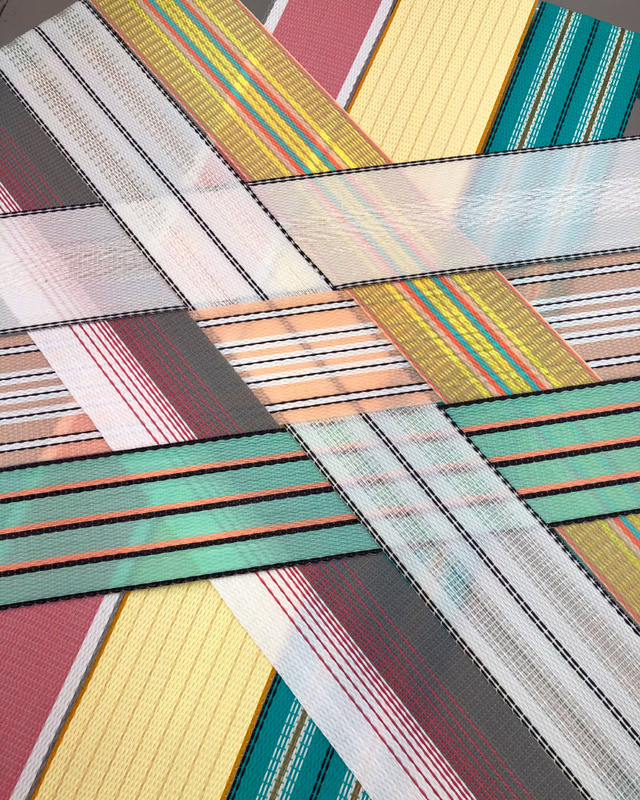 vintage lawn webbing is stretched across aluminum tubing, which has been powder coated in the tones of the nearby atlantic ocean. 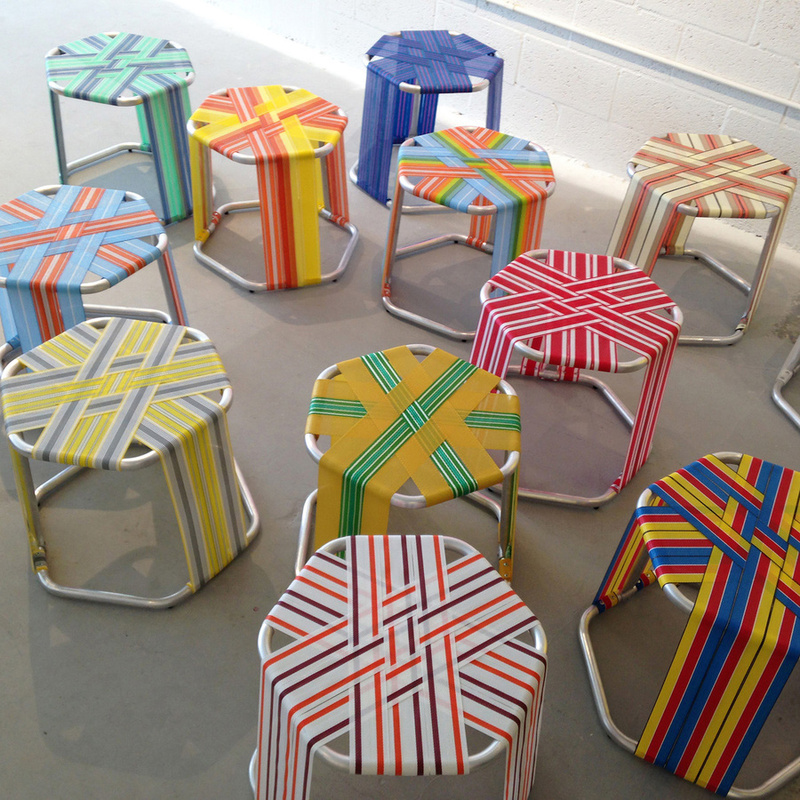 the stools sit on rubber feet and can be used both indoors and outdoors. 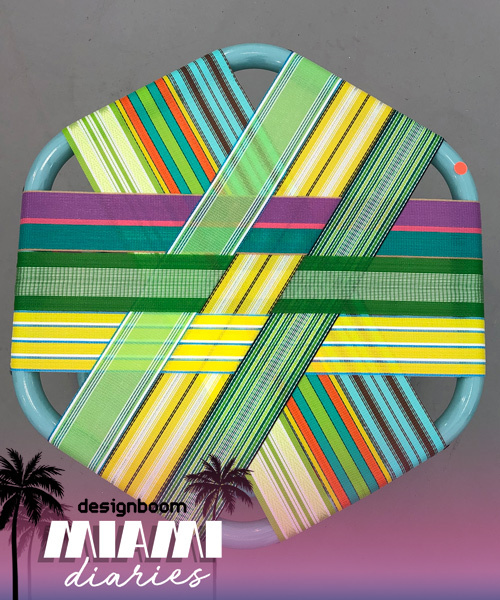 AMLgMATD is the collaborative studio of laz ojalde and natalie zlamalova, who founded the practice in 2014. see designboom’s ongoing coverage of miami art week 2018 here.